Happy new year, such as it is..
I’m taking it slow for a few days, and binge watching Game of Thrones (again, this time with my wife, who finally relented and is now addicted). Now officially being reported in mainstream media, 2014 will be listed as the hottest year in the instrumental record. Here is a look at five places that will help push 2014 into the global warming record books. California: The long-running drought in California was made worse in 2014 by record heat. The first 10 months of 2014 were the warmest in California’s history since 1895, further burdening the state’s water demands. The New York Time’s Justin Gillis has a story detailing reasons for optimism in restoring the world’s rainforests as a potential critical carbon sink. But from the Guardian, a sour note on the rise of Brazil’s “Chainsaw Queen”. But now, driven by a growing environmental movement in countries that are home to tropical forests, and by mounting pressure from Western consumers who care about sustainable practices, corporate and government leaders are making a fresh push to slow the cutting — and eventually to halt it. In addition, plans are being made by some of those same leaders to encourage forest regrowth on such a giant scale that it might actually pull a sizable fraction of human-released carbon dioxide out of the air and lock it into long-term storage. With the recent signs of progress, long-wary environmental groups are permitting themselves a burst of optimism about the world’s forests. Still, Greenpeace and other groups expect years of hard work as they try to hold business leaders and politicians accountable for the torrent of promises they have made lately. The momentum to slow or halt deforestation is fragile, for many reasons. And even though rich Western governments have hinted for years that they might be willing to spend tens of billions of dollars to help poor countries save their forests, they have allocated only a few billion dollars. Brazilian president Dilma Rousseff has stirred up the wrath of environmentalists by appointing a controversial advocate of agribusiness and weaker forest conservation as her new agriculture minister. Kátia Abreu, who has been nicknamed the “chainsaw queen” by her enemies, is included in a new cabinet that rewards political allies who supported Rousseff in her recent narrow re-election victory. Why Not? Christmas Eve is a Great Time to Debate the Existence of God. For the record, I don’t think I’d be welcome in either camp, because, like Groucho, I couldn’t belong to any club that would have me as a member. Happy Holidays, whatever your persuasion. As it turns out, he’d do a number on the climate, too. The other day a colleague alerted me to the fact that some airsoft guns use HFC 134a as a propellant. HFC 134a is 3,800 times more powerful than carbon dioxide as a greenhouse gas over a 20-year period. 1. If considered as a separate nation, the United States’ building stock would rank third in energy consumption: Only China and the U.S. consume more primary energy than the U.S. built environment, which uses 8 percent of the world’s primary energy, 42 percent of U.S. primary energy, and 72 percent of U.S. electricity. 2. Searching for parking burns one million barrels of oil per day: In Los Angeles alone, city drivers searching for parking in a 15-block district drove more than 950,000 miles, emitted 730 metric tons of carbon dioxide, and burned 47,000 gallons of gasoline. 3. Junk mail has a huge carbon footprint, not just a landfill footprint: The energy used to produce, deliver, and dispose of junk mail produces more greenhouse gas emissions than 2.8 million cars. 4. Micropower now produces about one-fourth of the world’s total electricity: Low- and no-carbon micropower, which includes renewables minus big hydro, plus cogeneration, now produces one-fourth of the world’s electricity. When you add big hydro and nuclear to the mix, micropower produced half the world’s electricity in 2013. A mystery. And a clue. Perseveration is a psychological syndrome where you can’t stop doing something even if the original reason for doing it has vanished. I’m beginning to wonder if the continuing fervor of Republican support for the project reflects an institutional equivalent of this syndrome. The economic and political case for the project is fading, but Republicans just can’t seem to let go. Admittedly, if you put aside the environmental issues, the project was appealing when oil was expensive and consumers were worried about high gas prices. But today, U.S. oil production is booming, oil is cheap, and gas prices are falling. Yet, Mitch McConnell swears that his first act as Senate majority leader will be to pass a bill approving the Keystone XL pipeline. It seems like an odd priority given the declining economic and political benefits of the project. 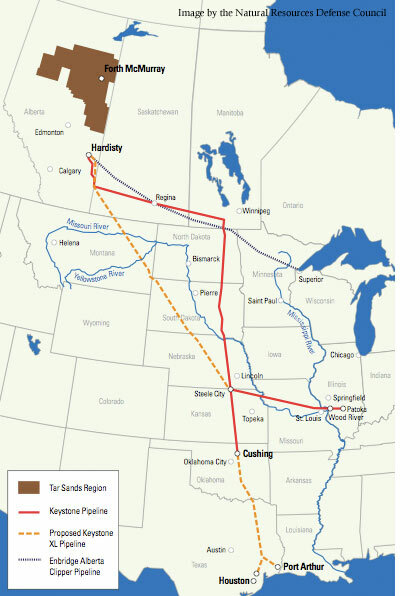 Even at the Manhattan Institute, a free market-oriented think tank with little patience for the arguments made by pipeline opponents, questions are emerging about whether Keystone still deserves star billing in the energy debate. Very worthwhile, if somewhat tooth-grinding reading, in the Washington Post. Miami’s real estate market hardly blinks at global climate change, and the now locked-in sea level rise that will devastate South Florida in coming decades. The one-percenters from South America and elsewhere who are fueling the real estate bubble will probably come out just fine. Many are not actually living in the posh developments that are springing up along beaches – where eroding sand must be trucked and replaced regularly. These are simply places to park billions of dollars until it becomes obviously unsustainable – probably after the next cat-4 or 5 storm comes thru with a reality check. In the meantime, taxpayers will continue to foot the bill for the growing number of pumps needed to keep water off the streets during high tide. Another example of how the fossil fuel industry privatizes the profits of burning carbon fuels, and socializes the costs. Meanwhile, Miami Beach keeps growing. Last year, the city collected $128 million in property taxes, an increase from $117 million in 2013 and $114 million in 2012. Thirty-two new condo towers have been proposed since 2011, said Peter Zalewski, founder of condo consulting site CraneSpotters.com. Twelve are currently under construction. The average asking price for resale condos, he said, is about $1.1 million. Foreign investors fueled nearly one-third of real estate transactions last year in Miami-Dade and Broward counties, according to a National Association of Realtors report. Eighty-one percent paid cash, the report found, and 72 percent bought a condo or townhouse. A popular myth propogated by climate deniers since the early 90s, is that, with global warming, we’ll see increased crop production. The most recent research does not support this notion. Crop yields are heading toward a heat-induced drop at the very time when population pressures will be increasing across the most vulnerable areas of the planet. Global warming will cut average wheat yields by six percent for every degree Celsius (1.8 Fahrenheit) of temperature rise in a bigger-than-expected brake on food production in a hotter world, a study said on Monday. 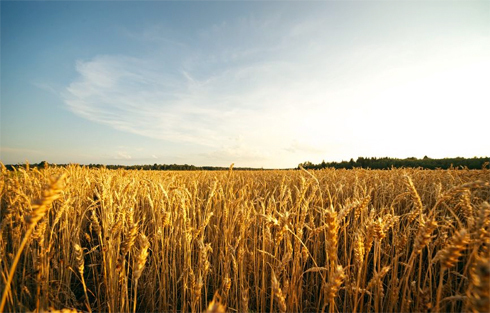 The report, by a U.S.-led team of scientists, said a six percent drop would be 42 million tonnes of 701 million tonnes of wheat production worldwide in 2012, highlighting a need to breed more heat-tolerant crops. In recent decades, wheat yields had declined in hotter sites such as in India, Africa, Brazil and Australia, more than offsetting yield gains in some cooler places including parts of the United States, Europe and China, the study showed. At the peak of the 2012 drought in the upper midwest, I spoke to Agronomist Phil Robertson of Michigan State University, at MSU’s Ag research station, where the green, irrigated lawn in the background belied the brown and crunchy dry conditions elsewhere in the area. Dr. Robertson is an author of the US Global Change Research progam’s evaluation of climate impacts US Midwest. He gave a thoughtful and measured evaluation of what crop research is showing about yields in a warming world. A fall of 6% in yield may not sound dramatic, but as the world’s population grows the pressure on staple crops will increase. Food price riots have been seen in several developing countries following sudden rises of less than 10% in food prices in recent years, demonstrating the vulnerability of the poor to grain prices. The global population is currently over 7bn and is forecast to rise to at least 9bn, and potentially up to 12bn, by 2050, which will put more pressure on agricultural land and water sources.